this time is one of the rare occurrences where I am posting about something not directly Savage Worlds related. Jim from the Exploding Dice Blog just released a new free game he created. It is based on other similar single player RPG light games. All you need to play besides the PDF are three 6 sided dice, preferably each a different color, and a pencil. The PDF contains some documents that should be printed out to use as the gaming map. 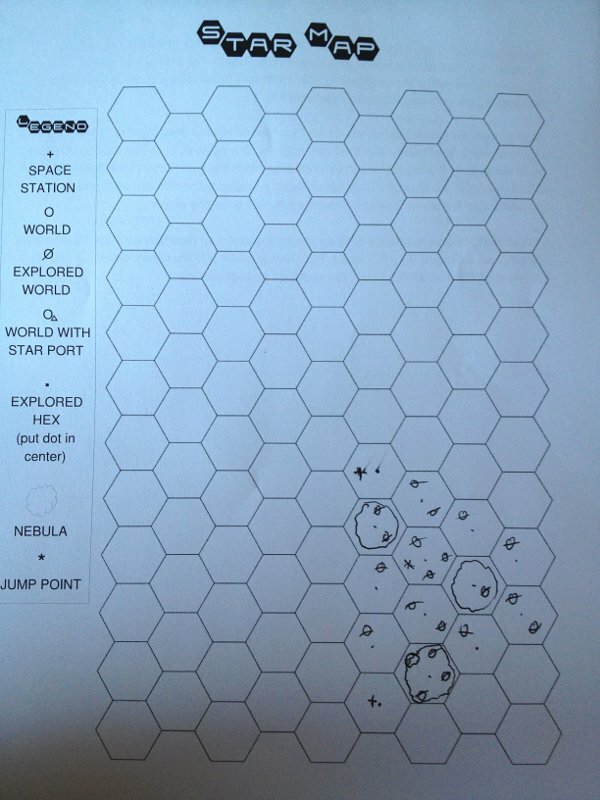 Hex Ranger is a game about space Exploration. You create your character and his ship and off you go. Creation is a simple process with rolling 3D6 and assigning each dice to one of your attributes. For your character that is Body, Mind and Spirit. For the Starship it is Combat, Shields and Engines. These statistics are only used in combat where you have to roll equal or below your attribute to damage an opponent. A 1 is always a success and a 6 always a failure, regardless of attribute score. Attributes get damaged when you roll over your attribute in combat. You can heal by visiting space stations or gaining rewards through fighting opponents or completing missions. Almost every system you travel to will have at least one randomly determined Planet. You can visit these and as in space you randomly determine what you find. On a planet the chance to discover a mission as a reward is higher than in space. 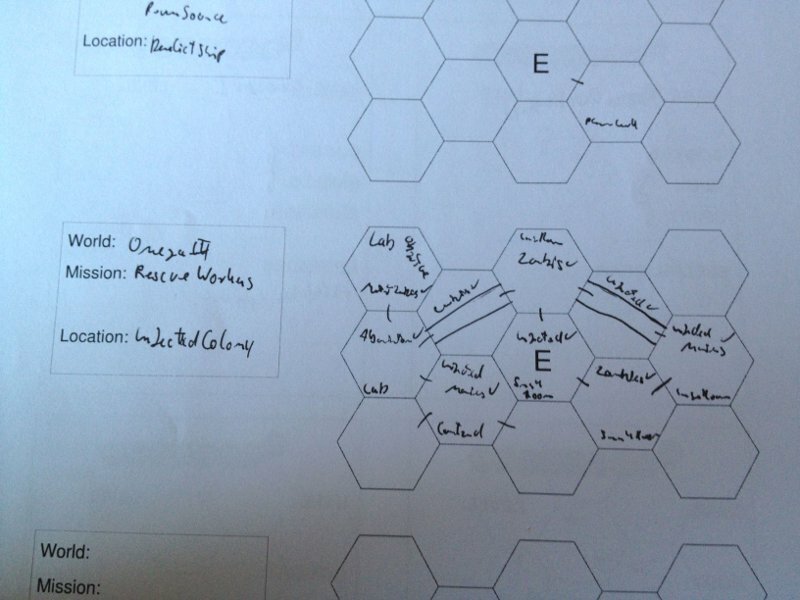 The Missions themselves are also randomly generated and played out on a smaller, separate hexmap. There are several types of missions and mission locations to discover. All missions play similar with the location determining the flavor of the enemies and the layout you will discover. There is one rare type of mission location with an even rarer type of powerful reward. Getting one of those is a long-term goal. The PDF also has rules for multi player play. I was unable to try these but they sound very usable. This small game is a lot of fun if you are into exploration games and a neat little universe creation engine to boot. I think I will try to play one of the randomly generated missions with my Savage Worlds group and generate the map with Hex Ranger. Go check it out on his blog where he also regularly posts about Savage Worlds. For example his ranged weapon workshop is a neat way of designing weapons. Have fun exploring the galaxy! Read you soon.